Hundreds of street vendors were evicted in Jaipur while the administration was trying to beautify the city for Pravasi Bharatiya Diwas program. Street vendors of Hassanpura, Vaisali, Pandit Ji Ka Chauraha, N.B.C. road, Sindhi camp, Railway station, Ajmer road and Sodala have been the major target of authorities apart from the main rout of the event. The eviction drive badly impacted livelihood of poor street vendors. In this regard the street vendors met the Chief Minister, Urban Development Minister, Collector Jaipur, Chief Executive Officer of Jaipur Municipal Corporation and other officers in line to stop the eviction drive immediately and complete their demands within two days. 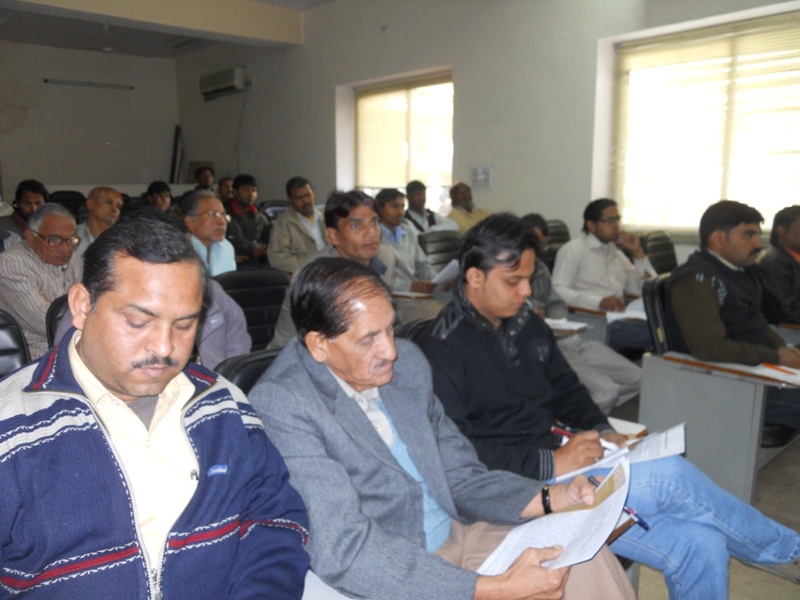 Disappointed by insensitiveness of the administration the street vendor unions decided to Gherao Jaipur Municipal Corporation on January 05, 2012 and protest during the PBD summit in aegis of Jeevika campaign of Centre for Civil Society. 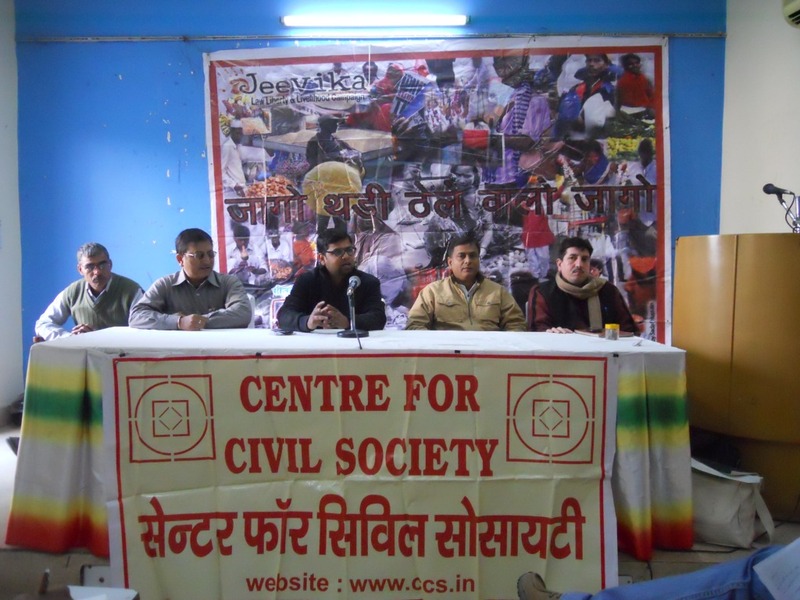 Centre for Civil Society organised a press conference on January 03, 2012 wherein representatives of all the street vendor unions of city came together to address their grievances. 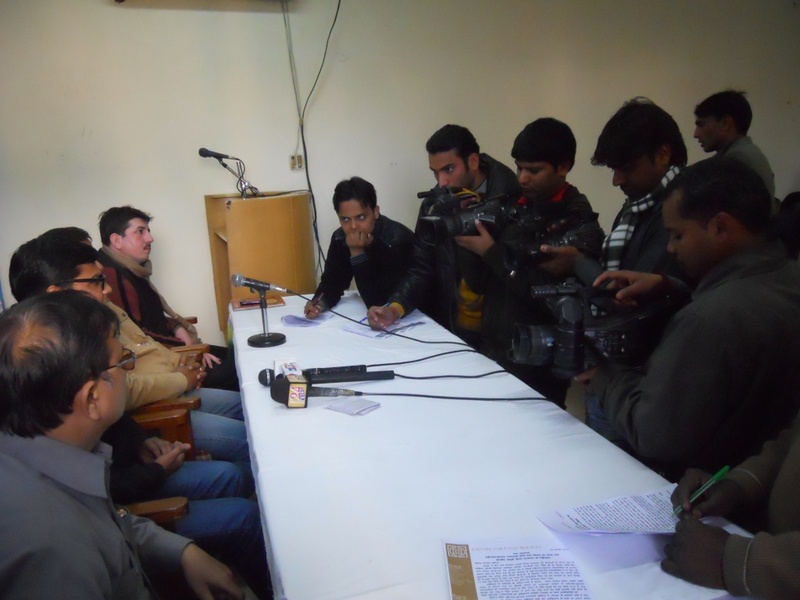 Addressing the press conference Jeevika National Coordinator, Amit Chandra said, “National Street Vendor Policy was prepared by Government of India in 2004 which has provision of legalizing street vending and protecting the right to livelihood of poor street vendors. It has provision of license, identity card to street vendors along with other several provisions of vending zones, insurance and pension schemes, training on hygiene etc. Following the national policy state government made Rajasthan Street Vendor Policy ‘Pheriwalon Ka Sansar’ in 2007 which is effective in state till date. The state government also passed a bill in state assembly in August to give legal status to poor street vendors. In such a scenario evicting street vendors is unconstitutional”. 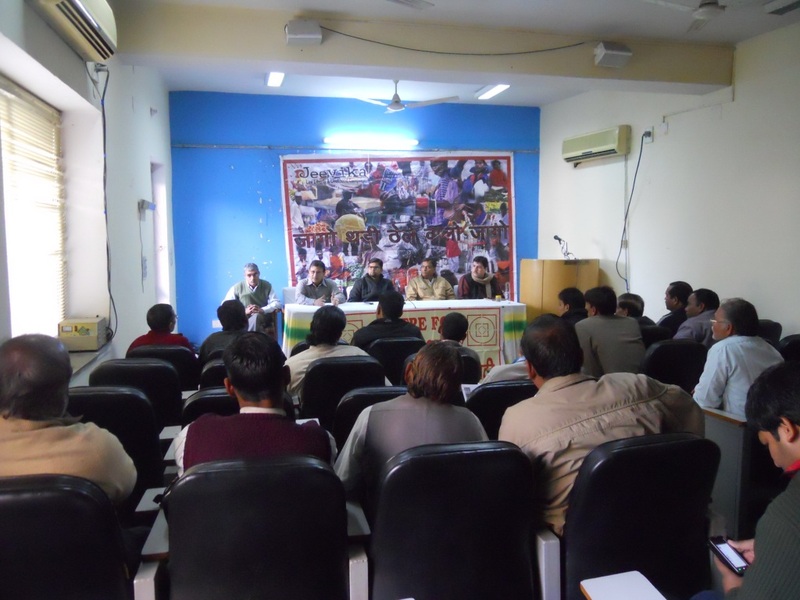 Nathus Singh Rathore, Nagarmal Prajapati, Kailash Verma, Babulal Sharma, Basant Haryana, Yaqub Bhai, Hanif Bhai and many other street vendor representatives were present in the press conference.